Mellow Mood are an Italian reggae band, who released their debut LP back in 2009. Entitled ‘Move!’, it was produced by the highly talented, Paolo Baldini. Together, they created a work which ultimately received international recognition – an unexpected explosion into stardom for everyone involved. 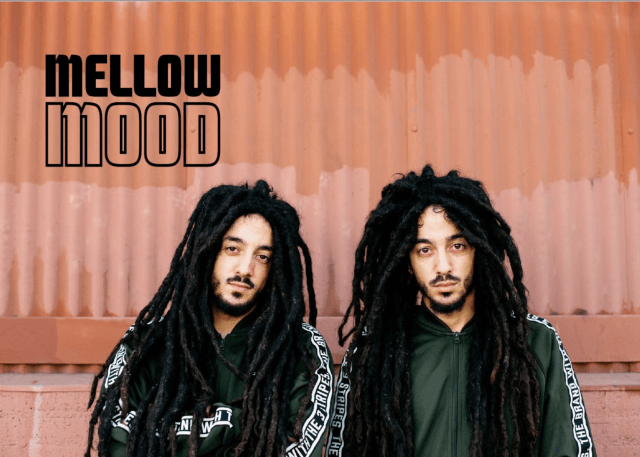 Continuing their long and successful relationship with Paolo Baldini, Mellow Mood returned to the recording studio and put together another album, called Well Well Well. Signed by one of their home country’s most revered labels, La Tempesta, it was distributed in 2012. Drawing inspiration from rocksteady, roots-reggae and tribal-clubbing, Mellow Mood successfully placed themselves among the key names of our generation who are keeping reggae fresh and alive. Thanks to the success of Well Well Well, Mellow Mood embarked on a tour of Europe, gigging in 12 countries and performing sets at the likes of Sziget and Rototom Sunsplash. By 2015, Mellow Mood had released two LPs – Twinz and 2 The World. Once again produced by Baldini, the songs boast some huge features from the likes of Jah9, Hempress Sativa, Tanya Stephens, Richie Campbell, Forelock and Sr. Wilson. Remaining active players on the international reggae scene, Mellow Mood have been touring Europe and America throughout 2016 and 2017, playing at some of the most significant reggae events the world has to offer. As a result of their captivating live performances and unforgettable body of work, Rototom Sunsplash crowned Mellow Mood as the best Italian reggae band and 3rd best in the whole of Europe. This was a stunning achievement for the band. Today, their tracks ‘Dance Inna Babylon’ and ‘Only You’ have racked up a whopping 50 million hits on YouTube, alone.